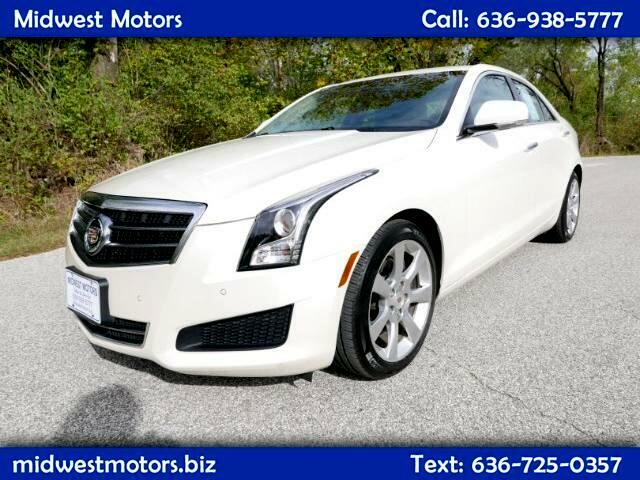 This extra clean 2014 Cadillac ATS is fully loaded with the LUXURY package from Cadillac! Sparkling "White Diamond" paint with a leather upholstered interior. Comfortable seats with power adjustments and a high fidelity BOSE stereo system means you'll drive in comfort with an excellent soundtrack. Sunroof with power controls along with power windows and locks. Hands free calling, radio controls, and cruise control buttons are right on the steering wheel. One Owner! Come and see this Cadillac today - you'll be glad you did at this price! WE FINANCE AND TRADES ARE WELCOMED!! !